Summer Clothing - for Libbie, Nikelle and Millicent, 14 dress up doll, Extra clothes for the Original La-Di-Doll 14. Summer Clothing - for Libbie, Nikelle and Millicent, 14" dress up doll, Extra clothes for the Original La-Di-Doll 14". Summer Clothing - for Libbie, Nikelle and Millicent . Extra clothes for the Original La-Di-Doll 14" dress up doll. Children of many different age groups can enjoy using the fun clothes to easily dress up their doll. Anytime or wherever their imagination takes them! 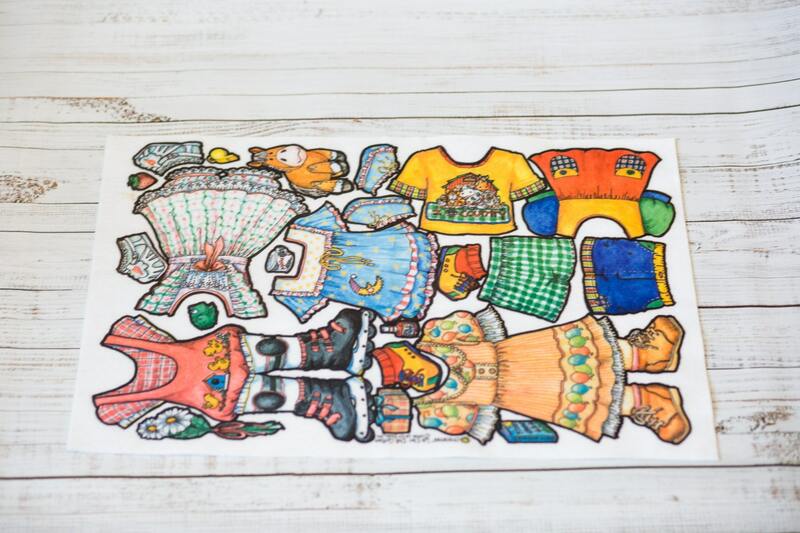 La-Di-Doll are 0.25" thick wooden dolls with Velcro to attach polyester felt clothes. Dolls are made from 1/4” MDF wood. Each doll comes with a set of clothes and their own carrying case. Also look for additional sets of clothes for purchase. The doll clothes come on a sheet of felt uncut. They are designed to be cut out on the black lines. Please if you have any questions please contact us, we would love to help you choose the right doll for you and your kids. Thanks for looking at our site!